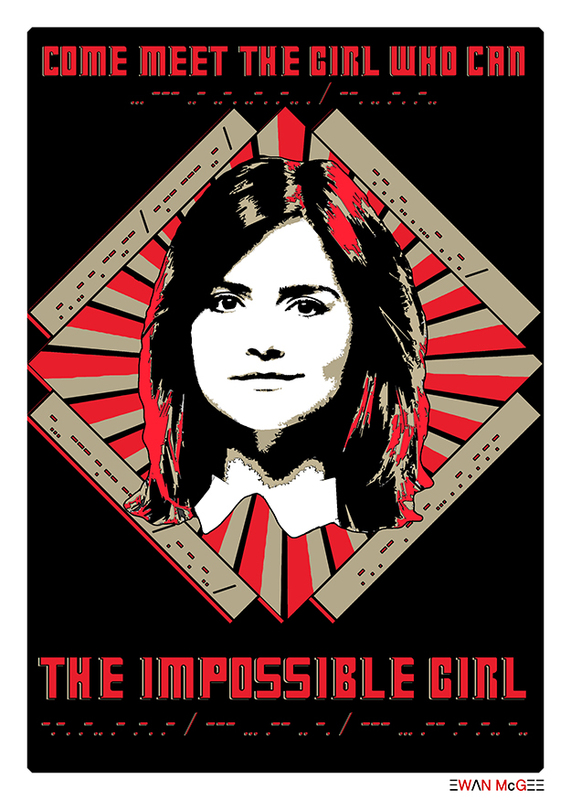 After two designs in which she was teamed up with two different incarnations of the Doctor, I felt Jenna Coleman/Clara Oswald deserved her very own poster. Of course the dashes and dots on IMPOSSIBLE GIRL are more than just that. Can you crack the code(s)?